If you have been reading this blog the last 7 weeks since Knox arrived you may think “I have it all together”. You may think I’m ridiculous when I say, “I’m struggling” or “I feel I’ve ruined my children.” Perhaps you think I need to give myself grace, lighten up, relax. But in first few months of adding a life to your family…it feels overwhelming. No matter how it looks to bystanders. A new mom’s heart is anxious. Heightened senses are great when you only have one newborn. Problems arise and stress appears when more children are added to the situation. The increase in sensory sensitivity plus additional sensory input…can lead to sensory overload! Everyone is loud. Everyone is running around. Everyone is spilling things. Everyone is touching me. Everyone is calling my name. AAHHHH!! At the end of the day, I would describe my day as “crazy.” (particularly the days involving tornado warnings with a toddler attempting to potty train himself while the newborn has a “colic tantrum”). Last week I came up for a little air. And a little perspective. I realized my ENTIRE day wasn’t crazy. It really only came in waves. The most challenging moments were when the newborn was awake. Which was every 2 to 3 hours. So it couldn’t be crazy the whole day because he wasn’t awake ALL DAY. Recognizing that there were only a handful of truly “crazy” moments in my day helped me handle those moments when they came. Instead of screaming or crying when all the boys were screaming and crying, I could breathe and know this moment would pass. The calm (or somewhat calm) would come soon. Not only would calm come soon, but perhaps even joy. When I painted a picture of the entire day as “bad” or “crazy” I robbed the day of those waves of joy & laughter. “Before a word is on my tongue you know it completely, O Lord.” (vs. 4). 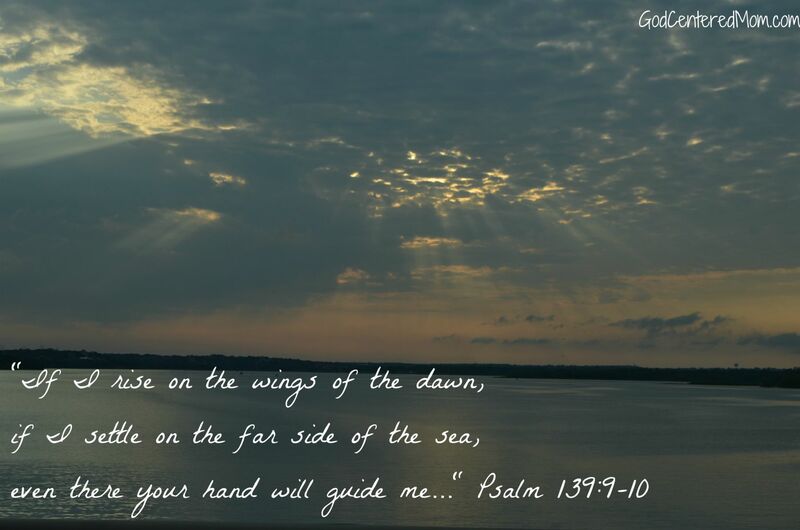 When I feel darkness closing in & negative thoughts filling my mind, I cling to His right hand holding me fast (vs 10). the night will shine like the day, for darkness is as light to you.” (vs 12). May you be encouraged in your craziness. Consider that the “crazy” may come in waves and not encompass the entire day.When a moment comes, stop, breath and realize it will pass. Be comforted by God’s complete knowledge of you. He knew how your day would unfold before you were even born. He even knew what words you would use that day. If you cling to Him, in those dark moments you can see light/hope because there is no darkness in Him. And through His eyes you may glimpse your own waves of joy. love this. love the verse to cling to and the thoughts of riding the wave and Him knowing all. so good to hang onto-kinda like a Hang 10 in surfing. thanks for the great word picture for today. You are oh so very welcome dear friend! It’s so true that those few crazy minutes can monopolize our thoughts. I can completely relate. Yes! If I don’t get my mind in the right place I can overgeneralize the moment and feel like it will never end. Oh girl, you are so right. Crazy in waves. Is that why I feel like I’m drowning many days? 🙂 I so wish you could come to Austin this weekend. I’d let you sleep in my bed and I would walk with Knox all night long. Yes, I would! That would be some fun! Um I would LOVE that! Ya’ll are going to have such a fun time in Austin. I so wish I could be there…so close and yet so far! (thanks for the prayers). I can really relate to your post. 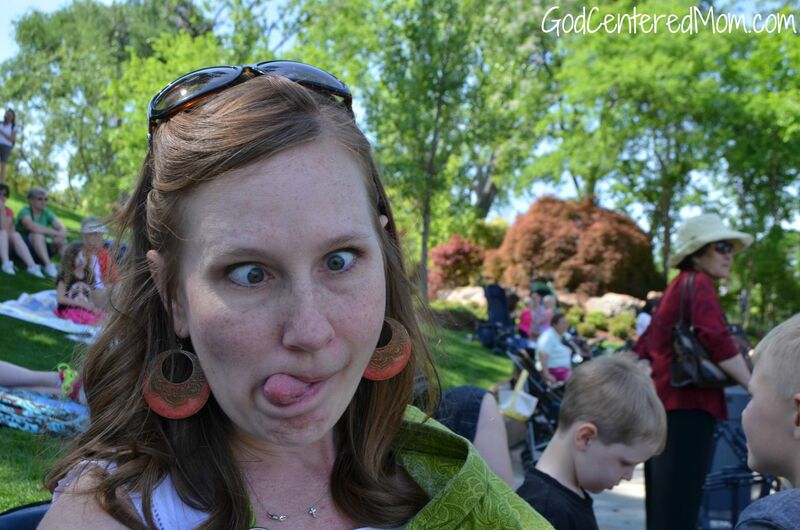 Sometimes my day seems so crazy with my three kids and homeschooling and trying to do it all. So thankful for God and prayer! Thanks for your encouraging post. Stopping by from Women Living Well link up…p.s. you have an adorable family! Thanks Kathy! Glad you can understand what I’ve been feeling. God Bless! Such great encouragement from the Lord! Way to go… just wow! Heather…thanks for your openness and honesty. I am so in the crazy “waves” right now. so much horrible sickness (for months) and it won’t stop! But I would love to focus on how it only comes in waves…not the whole day! And we do have a few days or even a week in between of wellness. Great perspective. Love you! Thank you for this post! I too feel like i’m drowning in the stresses of life with two small babies 20mon. & 4weeks. I am in a funk, feeling sad and low these days, and I feel worse knowing how blessed I am. Yet I can’t crawl out of this hole. Your blog and scriptures give me the daily boost I need! Thank you for those verses! Praying for you and your craziness! Also the baby probiotics seem to be helping with the gas issues. He still gets fussy after eating but not near as bad. Great post! I love the realness of it. Blessings!